Innovation Lift Scandinavia AB (ILS) is a Swedish manufacturer of high quality platform lifts which operates through a global distributor network of professional elevator companies. Founded in late 2013 by Lennart Gunnarsson, Johan Högberg and Tommy Söderlund, who together have over 45 years of experience in both design, construction and the elevator business. 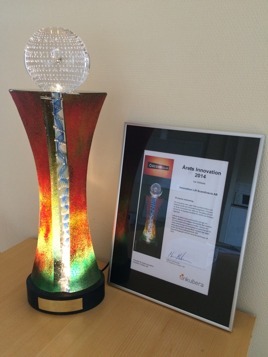 ILS had a really good start in 2014, which was the company's "start-up year", and at ILS we are extremely happy for the interest and positive feedback we received on our first product ILS 1K. Since 2015 we also offer a 500 kg platform lift on the market, ILS 05K, which is equipped with standard frequency controll for the best possible comfort. 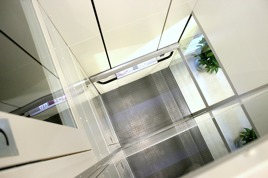 In distinguishing ourselves through innovative thinking and the highest degree of flexibility, we are confident that we can help You create a smoother day to day life by providing the right quality platform lifts to the right price. We can, We do and We do it smarter! ILS shall be the best platform manufacturer with the best products, subcontractors and partners on the global market. Our products shall make a difference, both for our distributors and for our end users. ILS shall provide the best service on the market and always emanate our activity from the customer's needs and wishes. ILS shall have the best employees with the right attitude where the customer is always in focus. We shall also be the best employer in our industry and constantly strive to create a safe, friendly and productive place of work.